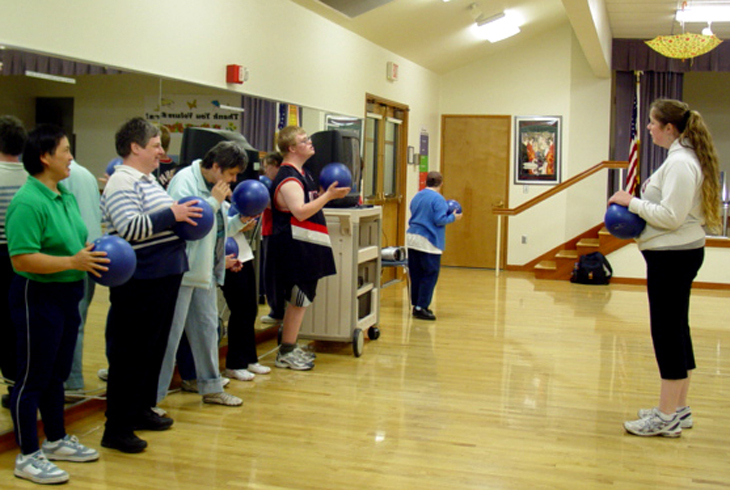 Adaptive and Inclusive Recreation classes are just one of many ways that THRPD removes barriers to participation in its programs. Tualatin Hills Park & Recreation District maintain a variety of initiatives that support the physical and emotional health and well-being of all of our residents. We provide all individuals the opportunity to play, learn, and explore, and all employees and volunteers the opportunity to further the district's mission. We do this by removing barriers to participation, fostering an inclusive culture, and offering programs that celebrate the district's diverse population. This program was established to ensure that all residents have access to recreational opportunities, regardless of income. It supports residents who cannot afford typical program fees. Scholarship recipients receive up to $200 per person in credit toward THPRD and affiliated youth sports league programs annually. To serve the needs of a diverse and changing community, THPRD must strive to engage in inclusive outreach practices and reach out to underserved and un-served populations. The Community Outreach Roadmap provides a framework to guide these efforts. ISing Choir will perform three concerts to benefit the Tualatin Hills Park Foundation. Collected donations will help fund inclusive and accessible recreation programming. Support Tualatin Hills Park Foundation’s Access for All initiative this holiday season and enjoy world-class music. Attend one of three winter concerts performed by ISing Choir on December 7, 8 and 9 and help bring inclusive recreation to everyone in the community. The concerts are free. Donations are encouraged with 100% of the proceeds donated to the Foundation’s Access for All initiative. This initiative strives to remove barriers to participation and bring inclusive, accessible recreation opportunities to all members of the community no matter their abilities, income or cultural background. Concert proceeds will help fund inclusive Tualatin Hills Park & Recreation District programs like Mountain View Champion Park’s Autism Friendly Spring Egg Hunt and the Tri4Youth all-abilities triathlon. ISing’s 80-person, award winning choir will perform “Rise Up in Harmony,” a program that celebrates both achievement in sport and the beauty found in nature. They will be backed by a full orchestra, with guest musicians from the Vancouver Symphony and the Portland Opera Orchestra. ISing’s mission is to share innovative and exceptional choral music while supporting local, nonprofit organizations. Founded in 2005, ISing has worked to share high-quality music to make the world a better place and has raised money for nonprofit organizations in Beaverton, Washington County, and the greater Portland area. Formed in 1955, THPRD is the largest special park district in Oregon, spanning 50 square miles and serving about 250,000 residents in the greater Beaverton area. The district provides year-round recreational opportunities for people of all ages and abilities. Offerings include thousands of widely diverse classes, 95 park sites with active recreational amenities, nearly 70 miles of trails, eight swim centers, six recreation centers, and about 1,500 acres of natural areas. For more information, visit www.thprd.org or call 503-645-6433. Click here for official release (PDF). Mountain View Champions Park wins Oregon Recreation & Park Association's 2018 Design Award. Tualatin Hills Park & Recreation District’s Mountain View Champions Park has won Oregon Recreation & Park Association’s 2018 Design Award. The Design Award recognizes superior architectural and/or landscape design for new or renovated parks. The park district shares the honor with David Evans and Associates for their work on the project. Located in a culturally and economically diverse neighborhood of Aloha, Mountain View Champions Park was chosen for creating a unique space where people of all abilities and backgrounds can access the social, emotional and physical benefits of play. One of a small handful of regional parks specifically designed for people of all ages and abilities, it expands access for children and adults with physical and/or developmental disabilities. Wide pathway system connecting athletic fields and amenities without a single step. Fully-accessible play area with adaptive play equipment and elements. Champions Too field, the Northwest’s first field designed for and dedicated to all-abilities sports and events. The Design Award also recognizes Mountain View Champion’s collaborative design process, unique fundraising partnerships and energy/maintenance cost saving features. The award was presented to THPRD Board Members Wendy Kroger and Felicita Monteblanco, as well as THPRD staff at the ORPA annual conference today. The Oregon Recreation and Park Association was founded in 1954. It is a non-profit charitable corporation whose mission is to support the recreation and park profession in Oregon through leadership, education, advocacy and member services. ORPA recognizes park leaders with annual awards including an annual Design Award for superior architectural and/or landscape design for new or renovated parks, completed in the last five years. Nominees are judged for design, community inclusiveness, overall response to community needs and design quality and innovation.